Full Vapor ™ ~ E-Cigarette Reviews, Ratings & News! 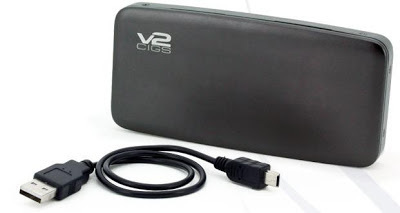 : New V2 Standard Plus Kit - New From V2 Cigs! Here's some good news...and just in time for the holidays! 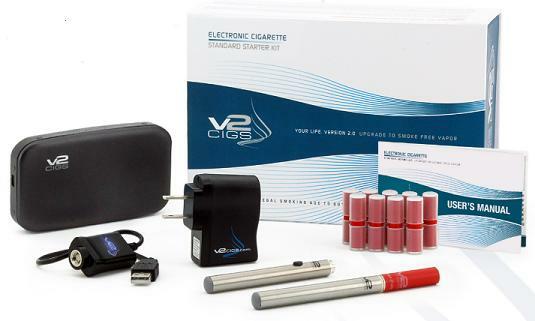 The leading e-cigarette brand, V2 Cigs, has just released a brand new e-cigarette starter kit to their ever-growing vaping lineup. Their new starter kit is the V2 Standard Plus Kit. 1. This starter kit also includes the NEW V2 Portable Charging Case. This is awesome because most people who buy the V2 Standard Kit also buy the V2 Portable Charging Case (either at the same time, or eventually) as well. So basically, V2 Cigs is giving you BOTH of them...and for a whole $15 less! "The V2 Standard Plus Kit includes all the essentials you’ll find in the V2 Standard Kit, PLUS a V2 Portable Charging Case. You’ll get everything you need to make the switch to a smoke-free lifestyle, plus a PCC — perfect for keeping your e-cig batteries charged and protected when you’re on the go. The V2 Standard Plus Kit is equipped with the V2 Smart Charger. This neat little charger has a sophisticated internal chip and the ability to charge your battery nearly twice as fast, while safely preventing overcharging." As mentioned above, this e-cigarette starter kit comes with everything you'll need to finally make the switch from tobacco cigarettes to the totally smoke-free lifestyle of vaping. You can also fully customize this starter kit to suit your liking. For example, you can choose which battery colors you want, which battery lengths you want, which cartridge vaping flavors you want, and which nicotine strength you prefer. The V2 Standard Plus Kit comes with a total of ten (10) V2 Flavor Cartridges. So basically, it comes with two V2 Flavor Cartridge "5-Packs". With each of these 5-Packs you can choose which vaping flavor (or flavors) you want, as well as which nicotine strength you prefer. The NEW V2 Portable Charging Case, which is included in the new V2 Standard Plus Kit, was designed by the V2 engineers. And so, it's one of the best e-cigarette charging cases available to vapers today. It's slimmer than a pack of cigarettes, and allows you to charge up to 4 e-cig batteries...even when you're away from an actual power source! • Indicator lights tell you how much charge is available in the case and give you accurate charge readings of your batteries. The lights change when your batteries are charged completely. Added Note: V2 Cigs Holiday Gift Wrapping! V2 Cigs also offers holiday gift wrapping this year. This is absolutely perfect for those of us who are giving "vaping" gifts (starter kits, Limited Editions, accessories, etc.) to our loved ones. For an extra 5 bucks V2 Cigs will gift wrap your order for you. You can also personalize your gift with a special message for your friend or loved one.